Being a locksmith can often mean your work is wrapped in secrecy, knowing how to “pick locks” and enter property without keys is something that only by knowing the “tricks of the trade” you might understand. However, to shed a little bit of light on just what a day is like for your average locksmith, professional locksmith Shaun from Tyne Tees Locks provides a snippet of just what his days can be filled with. 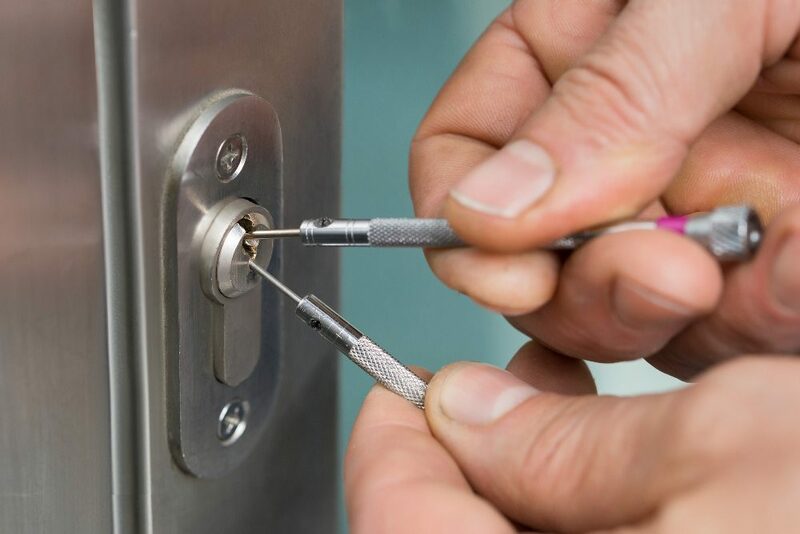 Firstly, as the number one locksmith in the Northeast, Tyne Tees Locks work with a number of different clients, who have a number of different needs every day. From break-ins to fixing faulty locks, to working on commercial properties to helping people get back into their homes, offices or vehicles! No day is the same, and for us, that’s what makes it most interesting. Firsts thing this morning I’m heading to a commercial property in the centre of Newcastle to carry out a security check on all external and internal doors. The company in question have asked me to look at different locks for the external doors with the potential for a key card locking system inside. They feel that their current locks aren’t really up to scratch and they are also in desperate need of a master key system. Once I battled through the traffic and made the meeting, we’ve agreed to upgrade the external door locks this week as a priority and then look more in-depth at the options for internal locking mechanisms and what would work best for them. I’m now off to Cramlington to meet a landlord to change some locks on a couple of their properties where tenants have moved on. Outside (the now vacant) property with the landlord ready to change both the front and back door locks as well as the garage door locks. This is to be done to two adjacent properties and to be honest we work with a lot of landlords and estate agents in this capacity. It’s recommended that when tenants do leave and before new ones come in, that you change the locks. It just helps to keep everything safe and secure, gives the landlord and the new tenant peace of mind and new keys can be passed directly to the landlord or estate agent to hand over. Both properties now have new locks, and the landlord is very happy, and we’ve agreed to stay in touch as some of the window locks could do with replacing as one seems to have snapped and the other is permanently on night lock with no signs of the key! I’ll check in with them in a week or so to see where we’re at. I was planning on heading to a regular customer of mine as they have once again managed to jam the key in their back door whilst letting the cat in! However, an emergency call has just come in from someone in Gosforth, who has locked herself out and needed to be back in before the school run. To be honest, at the moment I’m the closest to her (so we can reach her within our promise of 30minutes), so I call my scheduled job and ask if it’s ok if I’m a little late, which is fine, so off to Gosforth, I head! I arrive at the property to find a very stressed lady pacing on the drive. She’s due to pick her daughter up from nursery soon, and she’s locked her keys in the house (well actually she locked the door with her keys, put them down for a split second to pick something else up, by which time her other little one had very kindly posted the keys back through the letterbox!) I check the lock and get my tools out of the van. It’s a standard 5 lever sash lock, so I get to work on the lock, aiming to cause as least amount of damage as possible. The mechanism is a bit tricky and stiff, but with a little bit of manipulation and some good old-fashioned locksmith magic, we are in! She is so thankful that she quickly grabs her keys and what else she needs, whilst I finish packing up! It’s great to be able to help people and de-stress them! It also adds a little bit of excitement to the day! I quickly grab lunch before heading back across town to Durham to see about that tricky back door! The UPVC door seems to be posing as a problem as it looks like it might have dropped slightly which is then knocking the locking mechanism out of sync. I grab my tools and adjust the door and frame ever so slightly. Close the door and test the lock. It seems to of done the trick, and it’s now much easier to turn the key and is completely secure. For the rest of the afternoon it’s pretty straightforward lock changes and upgrades, before reporting back to the office and to make a note of the work carried out today. At Tyne Tees Locks, we’re proud to serve the Northeast in such a way. Working with both residential and commercial customers to meet all of their locking needs! We’re here to help and proud to be able to offer a service that is second to none as well as an emergency call out where we will always aim to reach you within 30minutes of your initial call. To find out more about our services and just how we can help you, call us today on 0191 438 6595 or visit our website at www.tyneteeslocks.co.uk and receive a 10% online discount! Every day is different in the world of locksmithing, but our reliability and excellent customer service is one thing that never changes! Want a help from a professional locksmith like Tyne Tees Locks? Find out the locations that we cover.